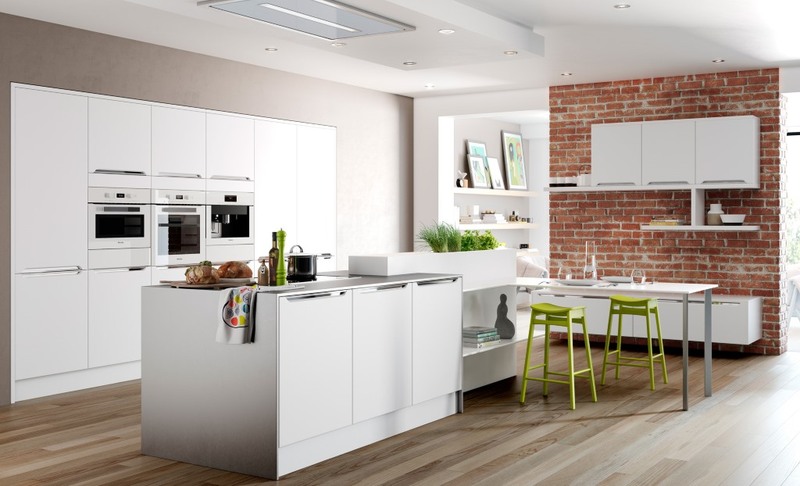 The Olympia handleless kitchen is finished in matt white. It has a revolutionary design with integrated aluminium handles which are available in either a matt or polished finished. 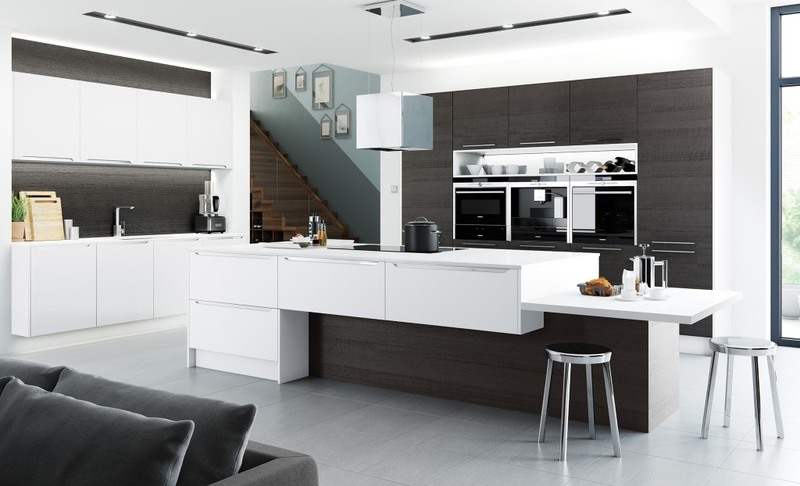 The matt white finish enables the range to integrate with other styles of kitchen, such as the Tavola painted in black in the photo below.